Thank you to all for families for donating so generously to the December Drive for Focus Ireland. Over twenty boxes of useful items were donated for families experiencing homelessness this winter. 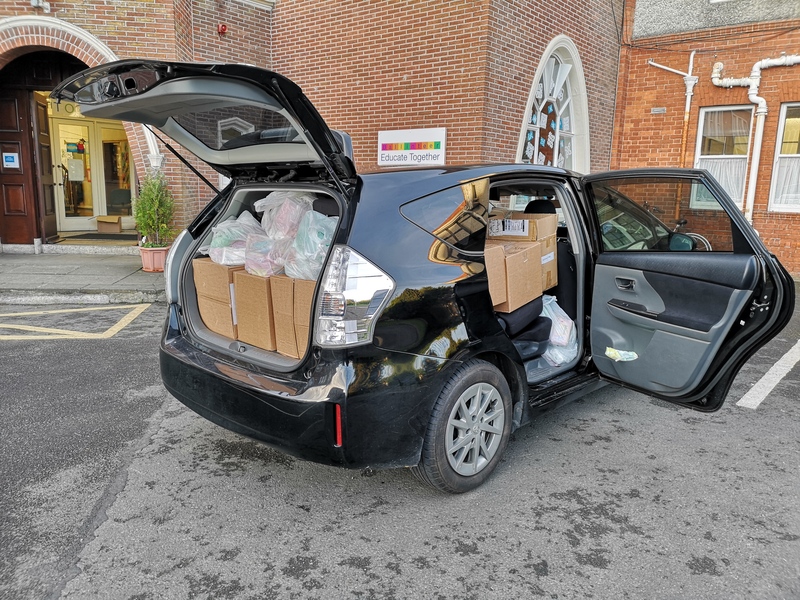 Thank you to Lisa (Rory’s mum) for squeezing this all in to your car for the trip to Focus Ireland! During December Ballinteer Educate Together would like to support the work of Focus Ireland. We will be asking for donations of useful new items from each class that the school will then donate to Focus Ireland to support families experiencing homelessness in Ireland this winter. At this time of year, Focus Ireland is also looking for donations of vouchers for supermarkets and toy shops. This is so that families living in emergency accommodation can buy their own toys, gifts and clothes for their children. By doing this it empowers families to make decisions for themselves and gives them choice. The children will be learning about the themes of homes and homelessness in their Ethical Education lessons. Fifth Class will lead our December assembly to share all that they have learned. Children can leave all donations in the box in their classroom.